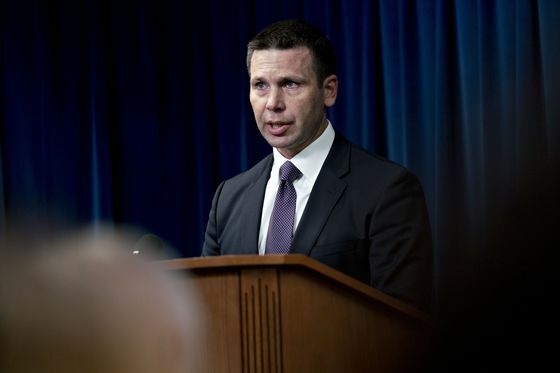 (Bloomberg) -- House Judiciary Committee leaders asked acting Homeland Security Secretary Kevin McAleenan to provide information about President Donald Trump’s reported offer of a pardon in case McAleenan faced criminal liability for following orders to close the border with Mexico. Chairman Jerrold Nadler and other committee Democrats asked McAleenan in a letter Tuesday to identify DHS employees who may have heard, or were told about, such a conversation between him and the president. The secretary was also asked to identify officials who may have heard the president direct them to deny asylum-seekers entry to the U.S. The New York Times reported on April 12 that Trump made such statements during an April 5 trip to the border with McAleenan. The Times said one unidentified person said the president may have meant the pardon offer as a joke, but that officials still were concerned about it. Trump said on Twitter that he "never offered Pardons to Homeland Security Officials, never ordered anyone to close our Southern Border." A DHS spokesman said last week that the president never asked or pressured McAleenan to do anything illegal. The lawmakers’ letter said the reported statements are part of a pattern of conduct that "appears to demonstrate that President Trump views the pardon power as a political tool, or even worse, as an expedient mechanism for circumventing the law or avoiding the consequences of his own conduct." 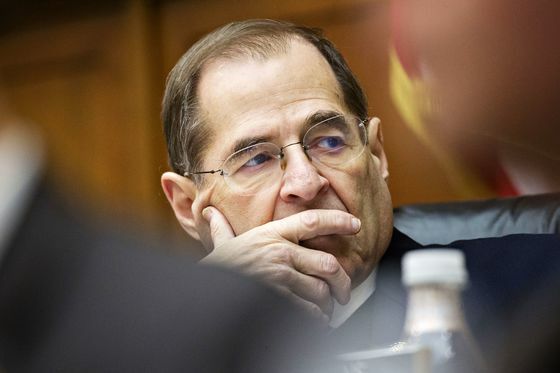 The request is "part of the committee’s ongoing inquiry into whether President Trump may have engaged in obstruction of justice or abuses of power," the Democrats said. Also signing the letter were Democrats Zoe Lofgren of California and Steve Cohen of Tennessee, the leaders of Judiciary subcommittees. The lawmakers also asked McAleenan to make himself and other DHS personnel available to testify before the Judiciary Committee.